If you’re looking for a little more interactivity when playing casino games then it might be time to check out the ‘Live Casino’ facilities available at our recommended websites. They all offer players a live and personalised experience playing the table game of your choice. Read more about live casinos by clicking here. 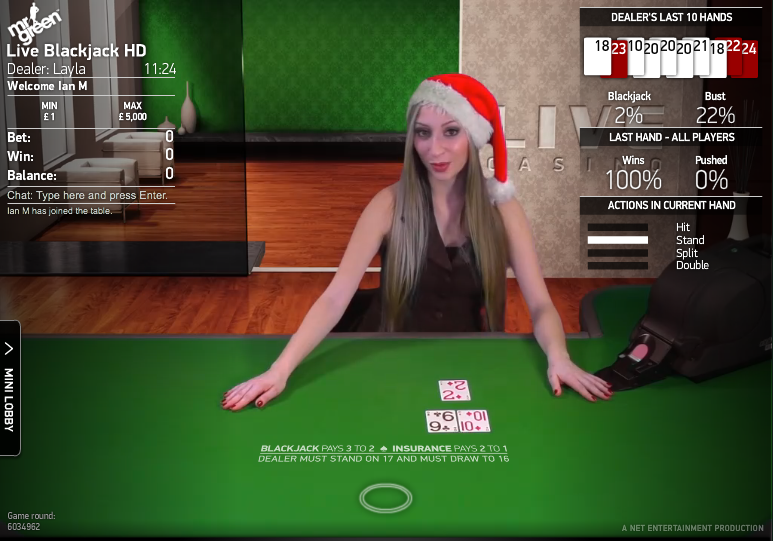 In this article we’re going to take a look at Net Entertainment’s Live HD Casino; it’s a ready-made range of live games available to casinos which license Net Ent products. 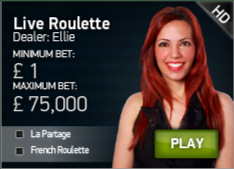 We’re currently playing it at Mr Green Casino and there it’s accessible by clicking the ‘live games’ link on the left hand side of the ‘All Games’ page. As the title of this software suggests, these games are all broadcast in High Definition and that means the usual Net Entertainment high quality is improved even more. Each smartly-dressed dealer or croupier will greet you by name when you join a particular table and of course you can chat to them via the ‘live chat’ facility on screen. Live HD Casino is a really smooth, high quality example of the genre and we would say that it’s a slight cut above it’s competition. If you’re looking for a place to start a career in Blackjack this isn’t a bad one – the minimum stakes of £1 per hand are temptingly low but if you want to splash £75000 on a spin of the roulette table then you are also well-catered for.